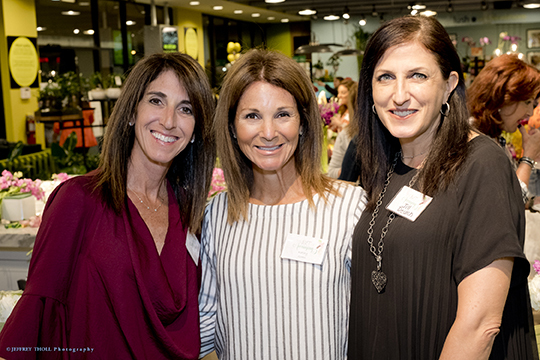 A group of dedicated women from Federation’s Pomegranate program gathered at Field of Flowers on February 7 for a night of creativity and camaraderie. Guests learned the art of arranging beautiful flower bouquets, which they took home at the end of the evening. While mingling and enjoying light bites and wine, the women heard from Pomegranate Co-chairs Nancy Gefen and Joan Hauser, as well as Women’s Philanthropy Campaign Chair Jill Rose, who highlighted the vital work that Federation does each day and thanked the Pomegranates for their partnership. Thank you to our event sponsor, Brown’s Interior Design, and our in-kind sponsor, Ivan & Co. Fine Jewelry. For more information about our Pomegranate program, please contact Janice Obuchowski at JaniceOb@bocafed.org.